General Admission Screening – $17/12 or Cine-Retro Membership – join at the door on screening evenings and save at all our screenings and gain admission to our member only screenings! Online ticketing available now. PHONE ENQUIRIES WELCOME – call or text Michael on 0418 186 686 – Best to call on the day of the event (not email) if you have any enquiries. There will be very limited on-site parking for this event. Please check for alternative street parking. 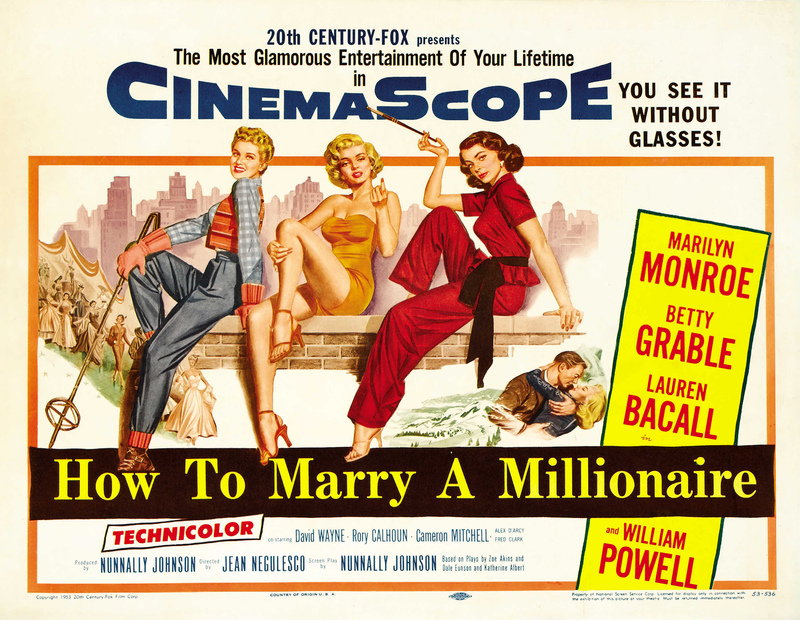 Stars Lauren Bacall, Betty Grable, Marilyn Monroe, William Powell, Cameron Mitchell, David Wayne, Rory Calhoun. Directed by Jean Negulesco. 95 Mins. CinemaScope! The Miracle you see without glasses!! Three gold digging models rent an expensive apartment in order to lure rich husbands, but find love in the end. A great cast that are a delight in some very nice frocks with some witty banter in this wafer thin story. But who cares? There’s nothing like a gorgeous bauble of feel good fun on occasion! The first film captured in the new ultra-wide CinemaScope process (The Robe being the first released before this) combined with eye-popping Technicolor, stereophonic sound, wonderful costumes and several Hollywood legends – the result is a film that demands viewing on our huge CinemaScope screen!